Acts of distracted driving claim thousands of lives throughout the United States every year. In Massachusetts, traffic deaths have increased dramatically in recent years, and experts say that distracted driving is part of the problem. Nationally, the National Highway Traffic Safety Administration (NHTSA) reports that there were more than 390,000 people injured in motor vehicle crashes involving a distracted driver in a single year. So if distracted driving is such a problem, why are so many people continuing to drive while distracted? Part of the issue may be that “distracted driving” is such a broad term that so many of the activities that constitute distracted driving aren’t illegal. As stated above, “distracted driving” is not, in itself, illegal. In fact, things like tending to children, eating or drinking while driving, daydreaming, changing the radio, or applying makeup are perfectly lawful in the state, despite how dangerous these behaviors are. To date, the only act of distracted driving that is addressed in Massachusetts law is that of cellphone use while behind the wheel. Currently, all drivers are prohibited from texting while driving, but drivers who are 18 years of age and older are allowed to use cellular devices to chat while operating a motor vehicle. However, a new law has been proposed by the Baker Administration that, if passed, would ban all handheld devices from use, only allowing drivers to use hands-free devices. While distracted driving may not be illegal, and therefore is not negligence per se (the violation of a statute or law) unless it involves texting, distracting driving is negligent. Negligence is a breach of the standard of care owed to others, and because distracted driving is a behavior that is known to be unsafe, it is clearly “unreasonable” to a person of ordinary prudence. This means that if a distracted driver causes a crash, and the crash is the proximate cause of the driver’s distraction (or other error), the driver can be held liable for damages that result. You suffered harm as a direct result. 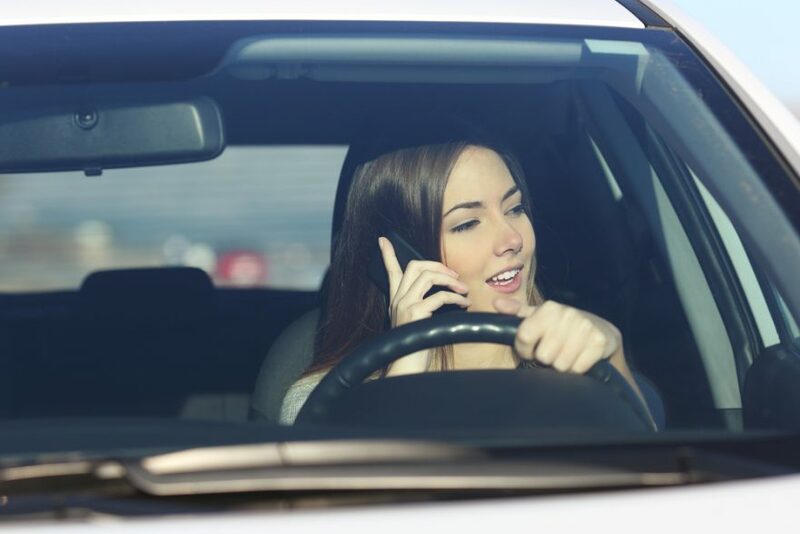 Our lawyers can help you to prove driver distraction by obtaining cellphone logs, talking to eyewitnesses, analyzing video footage, deposing the driver, and more. Being involved in a crash caused by a distracted driver can be a scary experience, and one that you deserve to be compensated for, especially if you’ve suffered serious injuries. While distracted driving may not be illegal, it is unsafe, and any driver who causes an accident as a result of driving while distracted should be held liable. Our Revere car accident lawyers at The Law Offices of Alan Hildreth King & Associates can help. To schedule a free consultation, please send our lawyers a message or call us at (781) 284-2900.